SOLD 8/2017. 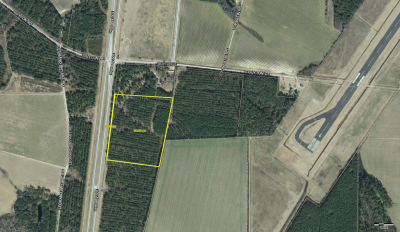 840+/- ft of frontage on US Hwy 501 Bypass on this great commercial 13.5+- acre parcel. Recently cutover acreage includes high visibility and frontage on the E side of US Hwy 501 Bypass between US Hwy 76 and Bluff Road. Great site for retail or small industrial service or shop; Church; car, boat, ATV or metal building dealership, or any business wanting room to expand with high traffic, high profile location! This 13.5 acres is priced to sell at just $65,000.00!! !